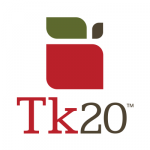 TK20: Graphite Upgrade | A . T . T . N !